We all know the facts: our hearing will probably get worse as we get older. But for those of us below a certain age, that’s exactly why we put off having a hearing test – we think we’re too young. There’s no such thing as ‘too young’ for a hearing test. Yes – we’ve all had the same thought: “my hearing seems fine, so there’s no need for me to have a hearing test at my age.” But hearing loss doesn’t only affect the old. Our hearing can start to deteriorate as early as 25. By the time we’re 50, half of us will have some level of high-frequency hearing loss, making it difficult to pick out conversations against background noise. If you’re finding it tough understanding your friend’s conversation in a busy coffee shop, you might have some form of hearing loss. In 2011, Johns Hopkins School of Medicine made a startling discovery. Their study found that patients with hearing problems lose brain tissue faster than those with normal hearing, leaving them at greater risk of developing dementia. What’s more, the risk of dementia appears to be linked to the severity of the hearing loss. The worse your hearing loss, the higher your risk of dementia. In short, diagnosing hearing loss as soon as possible could help you slow the onset of dementia. Hearing loss is a condition that appears slowly over time, making it difficult for sufferers to detect. On average it can take 10 years before many people realise they have a hearing loss. The answer is to get your hearing checked regularly so that any changes can be monitored over time. Leightons Opticians & Hearing Care offers a free hearing test in all branches. We provide a comprehensive hearing check carried out by experts – professionally trained hearing aid audiologists who are all registered with the HCPC (Health & Care Professions Council) and members of the British Society of Hearing Aid Audiologists. At the end of the test, you will receive your results as an audiogram, and we’ll give you expert advice on any preventative or corrective measures you may need. If your hearing test shows that you suffer from hearing loss and need a hearing aid, we offer a wide range of digital hearing aids that are both discreet and reliable. We stock the most trusted brands in the industry, including Oticon, Phonak, ReSound, Widex, Unitron, Starkey and Siemens, so you can be sure you’re getting the best. You can book an appointment online, or you can call us on 0800 40 20 20 to arrange a hearing test at your nearest Leightons branch. Alternatively, you can arrange to have the test at home. 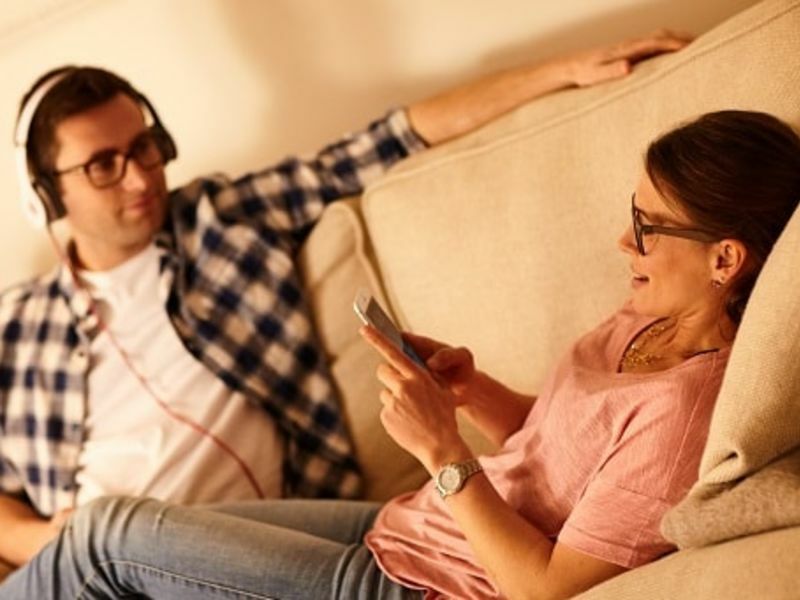 The same experienced professional audiologist you would see in branch will come to your home to carry out a hearing check using specialist portable equipment.